Nearly a decade in the making, we have spent countless hours refining our club testing protocols and data processing methodologies. We’ve worked with R&D experts from some of the largest and well-known companies in golf with the singular goal of creating the most comprehensive and informative club tests for the golfing consumer. Everything in our tests, the number of testers, the number of shots we collect, the way we analyze data, and even the way we sort and randomize clubs during the tests themselves was directly influenced by our conversations with those experts. The result is what we believe to be the largest, independent, 100% Datacratic golf club tests conducted on an annual basis. While MyGolfSpy is a huge proponent of custom fitting, we also realize that a significant percentage of golfers choose not to be fully fitted for their golf equipment. It’s within that reality that Most Wanted was originally conceived as a test of off-the-rack golf equipment. As manufacturers have added adjustability to their clubheads and increased the number of stock shaft offerings, our tests have evolved to what we call fit from stock. We fit our testers to the degree possible with each manufacturer’s off-the-rack options. This includes changing shafts, making loft/face angle adjustments, and leveraging adjustable weights. Within the constraints of the options at our disposal, we make every reasonable effort to optimize each club for each tester. For each test, our pool of golfers spans a wide range of ages, swing speeds, handicaps, and abilities. Among our regular testers are collegiate golfers, retirees, and average golfers just like you. The specifics of each test and each testing pool, including the number of testers, number of shots collected, and total testing time are detailed on the results page for each test. To collect a valid sample size across all testers and all clubs while minimizing the risk of fatigue, each tester takes part in multiple test sessions. For any given test, 3 to 8 sessions may be required of each tester. Club groupings and the order in which clubs are hit are also randomized for each golfer. During each session, testers are asked to take 3-4 swings with each club before moving to the next club in the rotation. Obvious outliers, including worm burners, pop-ups, and balls severely offline are excluded, and the process is repeated until we achieved a sample size of 10-12 good shots for each tester with each club. 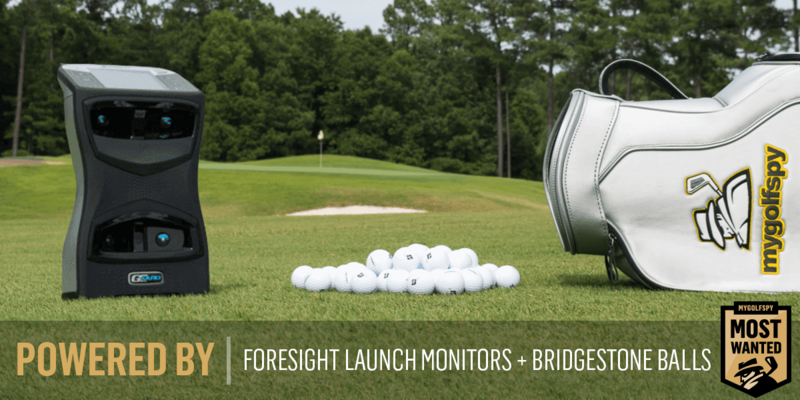 Ball flight and clubhead data are collected with Foresight GC Quad launch monitors. To reduce the number of variables, all testers hit Bridgestone Tour B-RX golf balls. Balls are inspected after each session. Any ball showing signs of wear is replaced. Launch Monitor data is then exported and checked for errors. Additional outliers across several metrics are identified programmatically using a statistical approach called median absolute deviation. Shots flagged as outliers are excluded when the final averages are calculated. While we collect and publish averages for common launch monitor metrics, we use Strokes Gained as our key performance metric. We realize that data is inherently interpretive, which is why we share our data with you. For those who prefer things clean and simple, we offer TRUERank. For those of you who want to dig deeper, make your own interpretations, and draw your own conclusions, we make our data available to you. Note: This page is frequently updated to reflect the latest information about how we test. As such, it may not be wholly applicable to previous tests.